Other Notes: Session India Pale Ale. Only real fruit inside! Brewer Description: (from bottle) It is said that your first born will always carry a special place in your heart. 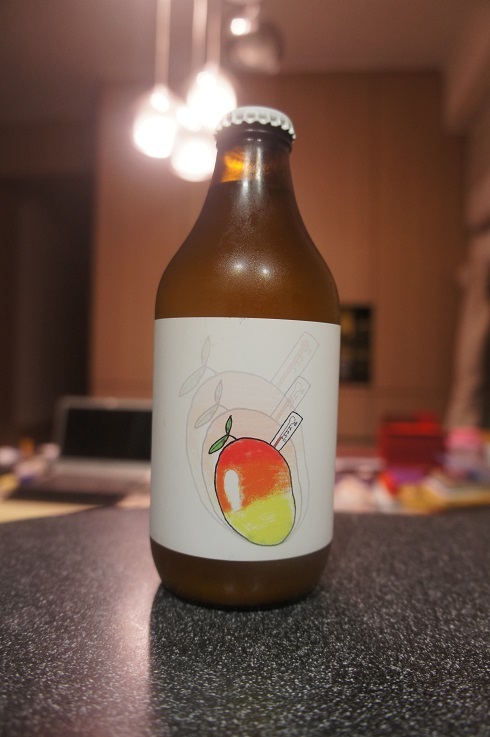 As our first beer ever, Mangofeber has conquered tastebuds male and female, old and young, national and foreign. While we admit to always evolving this beer, so here is a light session version for anyone that wants to enjoy all the flavours with a little less “buzz” and a real “folkis” as we would say in Sweden. Intro: A 330ml bottle with a best before date of 28th May 2019, ‘B5 sexonajpa’. Poured into a Lost Abbey teku glass. Appearance: A very hazy dark straw yellow colour with a big three finger soapy white head that dissipated fairly quickly while leaving some sparse but sticky lacing. Aroma: A bit light, but there’s juicy mango, mango peel, pine and grass with hints of hay, herbal and citrus peel. 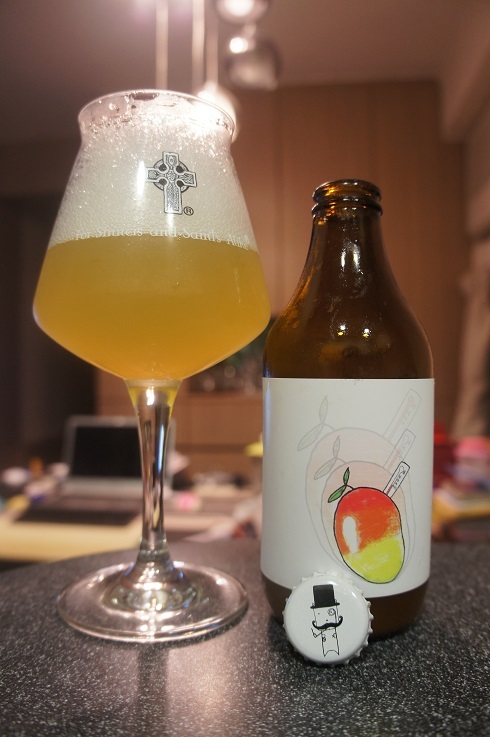 Taste: Lightly bitter, bready malt, juicy mango, lime and pine. Overall: Aroma was a bit light, and while taste was nice and juicy, the malt was a little stronger than I’d like.